The interface between the forest and the cave is the most fascinating aspect of many NZ caves.... 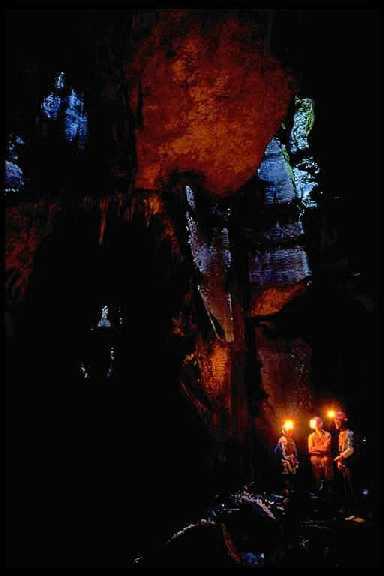 In the Paparoas, numerous tomo shafts pierce the roof of large caverns creating natural skylights lined with dripping moss and ferns. Many (now extinct) moas came to grief falling down shafts like these. Consequently, it is not uncommon to find the bones of extinct flightless birds.